1. Check with your local municipality to see if USVs are allowed in the municipality and what restrictions there might be for their operation. 2. 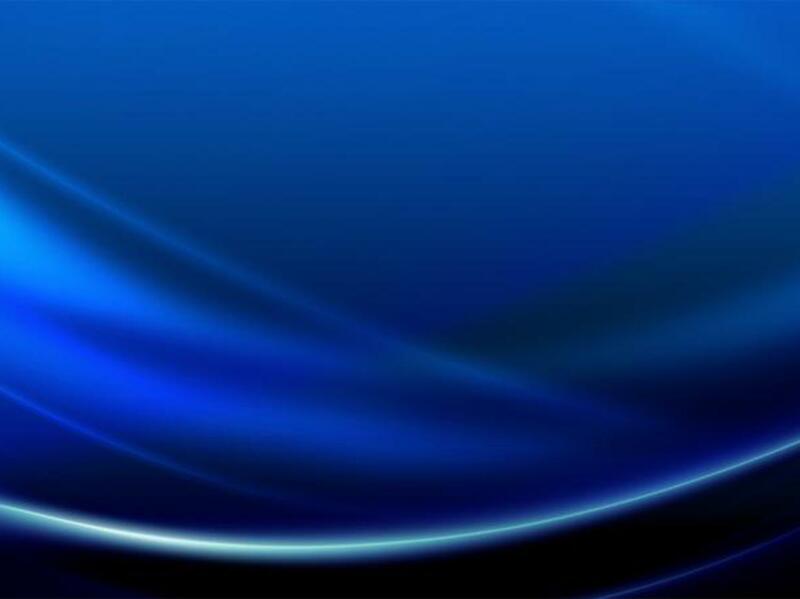 Obtain at least state minimum liability insurance on said USV. 3. Bring USV to the Wakeman Police Department to be inspected by a Police Officer. 4. Take certificate of inspection to the Clerk of Courts Title Office and obtain a title for the USV. 5. Take title and inspection certificate to the BMV, if all is in order you will be able to obtain license plates. 6. 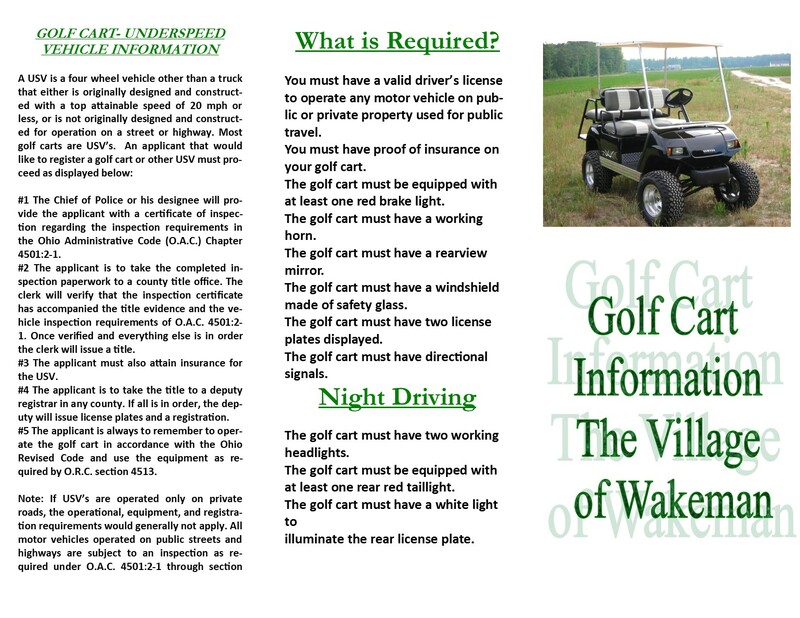 Once the USV is licensed it must be operated in accordance with the Ohio Revised Code (ORC) Chapter 4511 and with the equipment listed in ORC Chapter 4513. 3. At least one rear tail light. 4. Rear license plate light (must be white). 5. At least one brake light. 6. Two working headlights . 9. Windshield of glass or safety glass. 10. Must have directional signals. 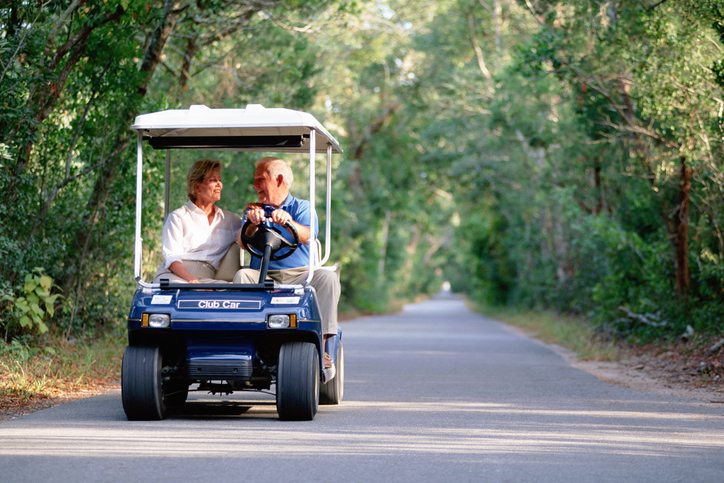 There is a $25.00 fee payable to the Village of Wakeman, once the Golf Cart has passed the inspection. 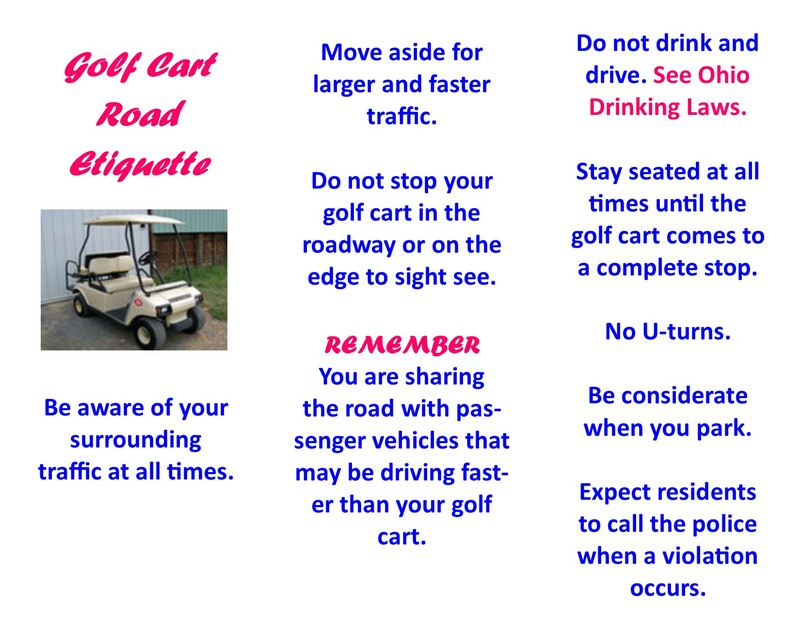 Golf Cart Inspections are Monday thru Friday, anytime between 7am and 3pm.